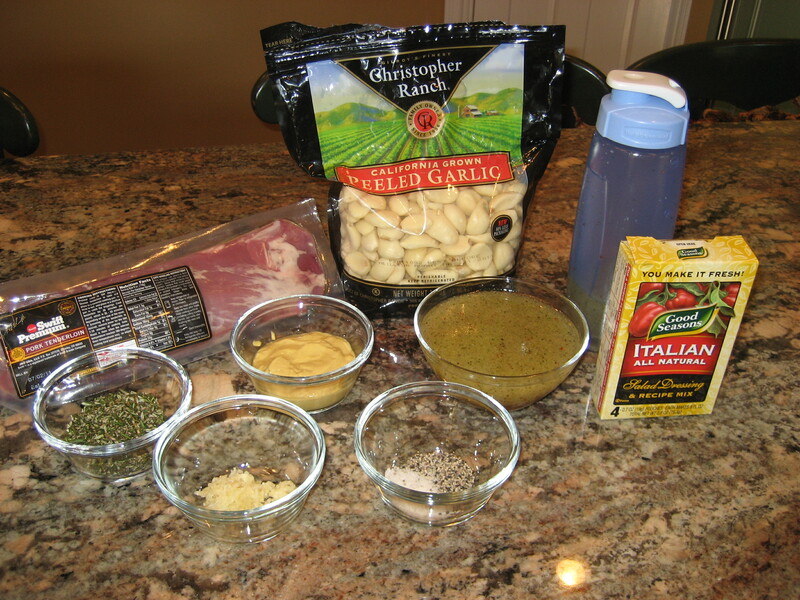 As the More is More Mom®, I’m all about……more plan ahead easy dinners! Who ever dared to suggest that the days of summer were lazy clearly wasn’t busy running their family all over creation. While some nights might be nice and leisurely, others are fraught with a flurry of activity. But what’s a family to do? They still have to eat. That’s when a little planning ahead comes in handy. I am such a super fan of anything that can be prepped in advance, which is why I favor marinated meats and do-ahead potatoes. 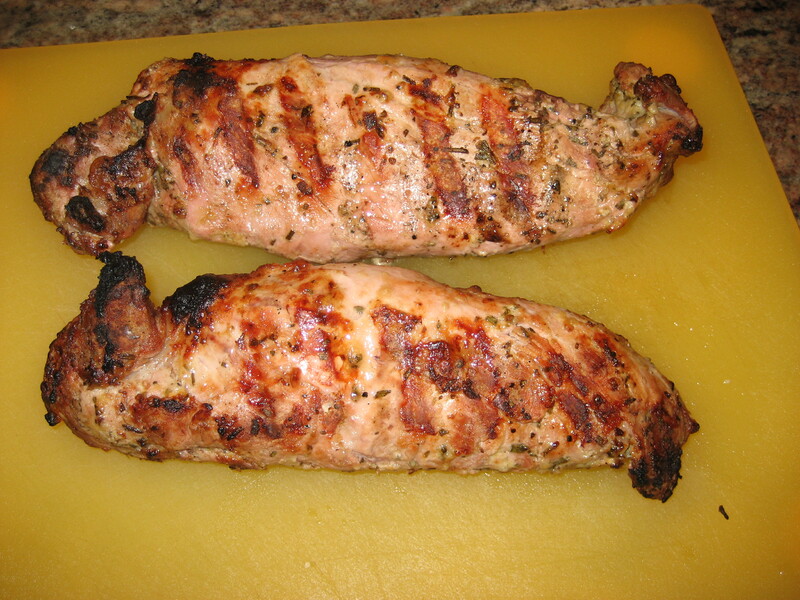 I knew this pork tenderloin was a real hit when my Nick said, “It tasted even better than it looked.” From a teenager; that’s quite an endorsement! I love, love, love my vacuum sealed pork tenderloins from CostCo. I recently picked up two packs of two tenderloins for a mere $20.00. 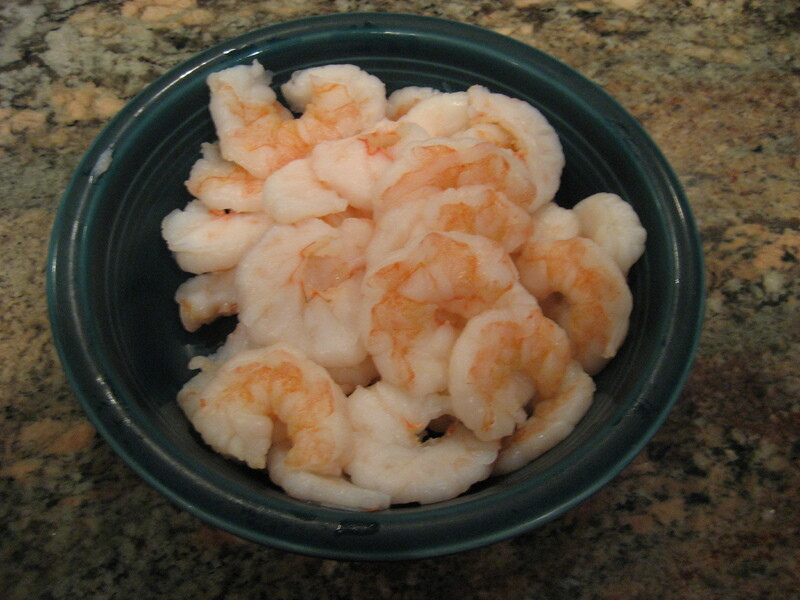 One packet went in the freezer for a rainy day, while I made this flavorful marinade for the other. I’m also a big fan of the Good Season’s Italian Seasoning packets. I always have them on hand. 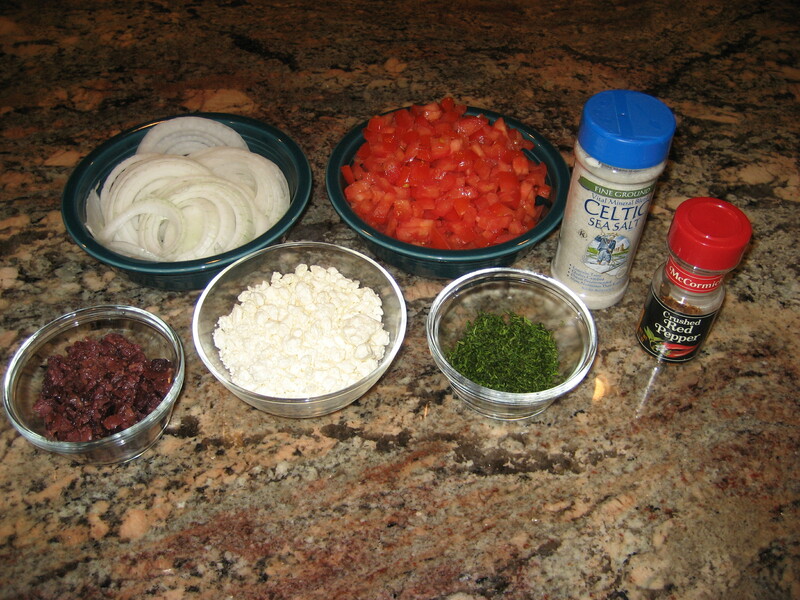 For a salad, I mix it up with balsamic vinegar, while for a marinade I might use a good white wine vinegar. 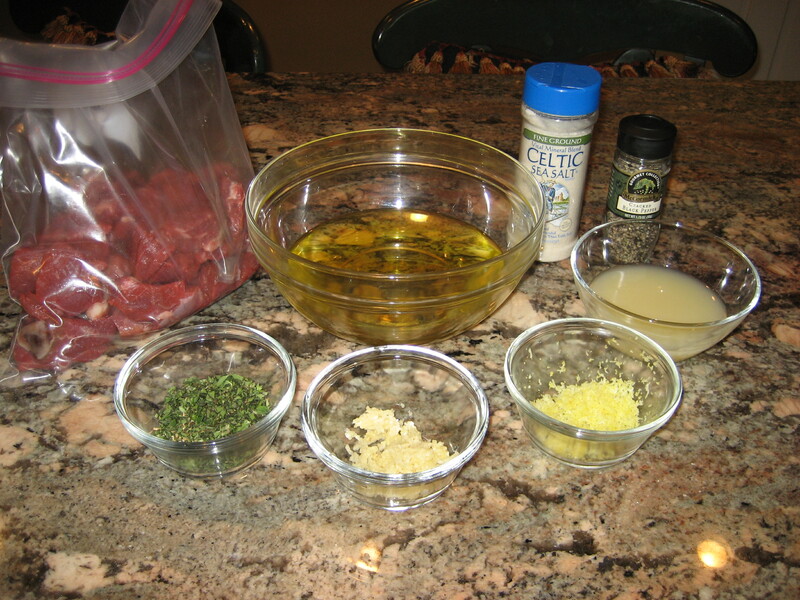 Mix all of the ingredients together in a Zip-loc baggie and add the two pork tenderloins from the vacuum sealed pack. 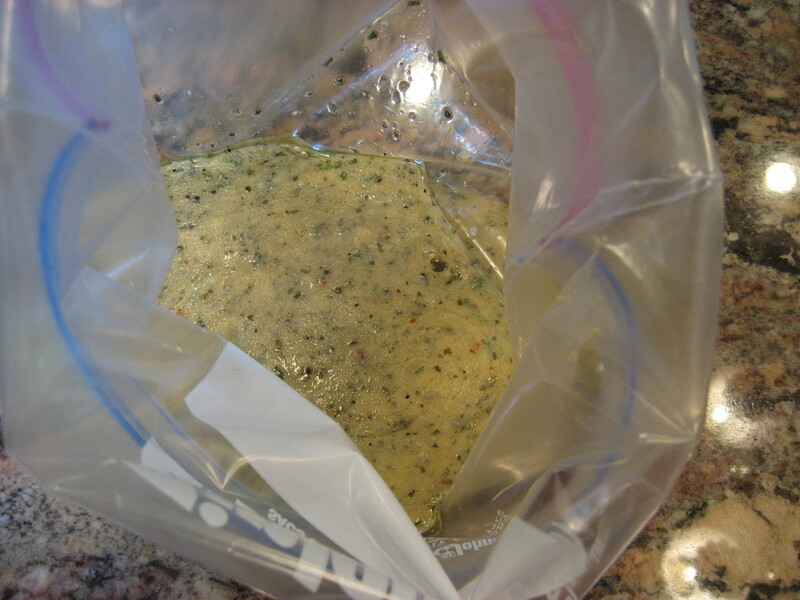 Marinade in the refrigerator over night. An hour or so before you are ready for dinner, either Pre-heat the oven to 350° or Pre-heat the grill and reduce to a medium-high heat. Roast in the oven for about an hour, or on the grill for approximately 35-45 minutes; until the meat reaches 145°-150° on an instant read thermometer. If you’re already doing the work, you may as well make two meals. I always make one more potato than there are people that I will be serving, just in case there is a casualty in the scooping process. You’ll need one half of a potato per person, per serving. 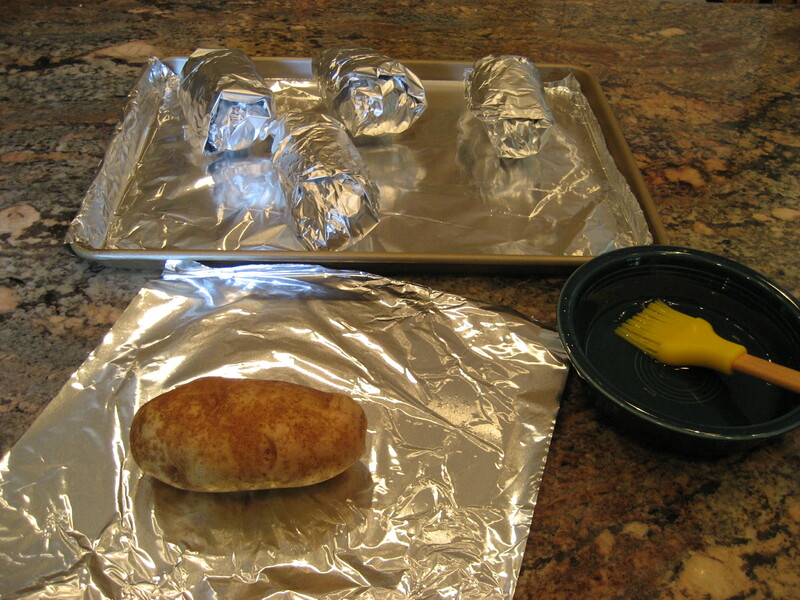 Since I was making double batch, I placed 4 potatoes on a foil lined baking sheet to cook immediately and the remaining 4 in a glass baking dish that I sprayed with non-stick cooking spray. I sealed the baking dish with a lid and placed the pan in a large freezer bag to keep the potatoes fresher, longer after I put them in the freezer. Now I’ve got a nice side dish for dinner another evening (defrosting before baking). 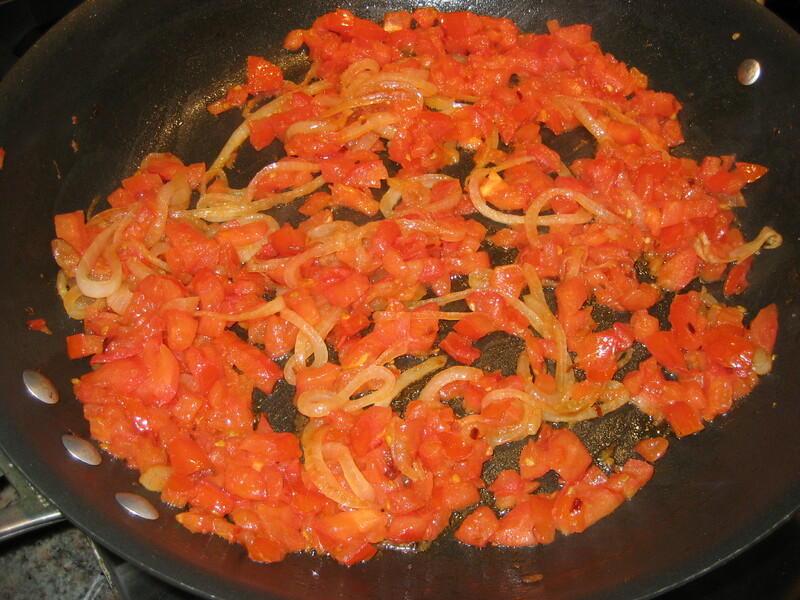 Veggies are an important element to every meal. 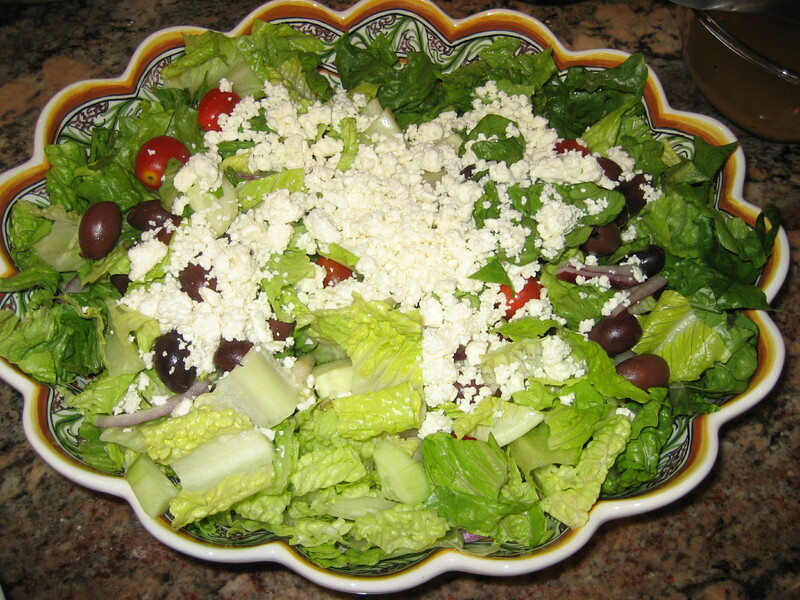 Add an easy lettuce, chopped tomato and chopped cucumber salad, tossed with the left over salad dressing as a side. 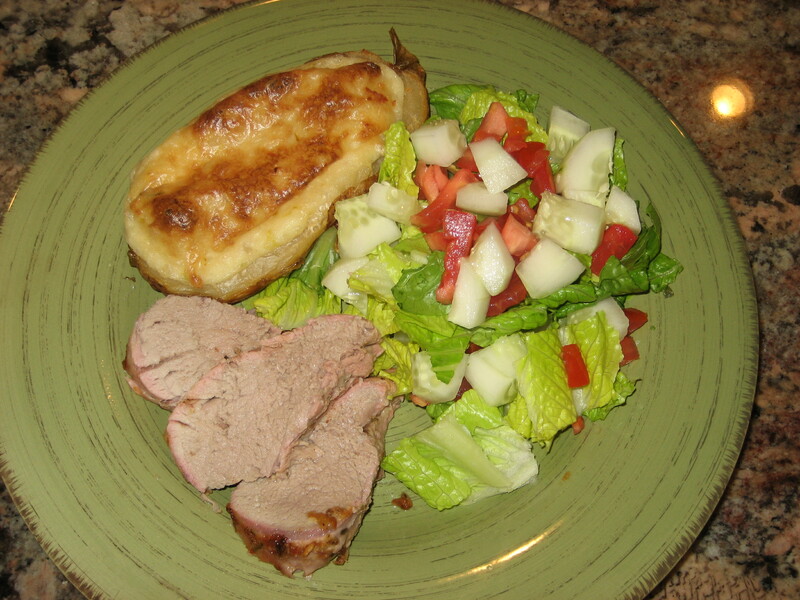 Plate the meat, potato and salad, and…..serve! 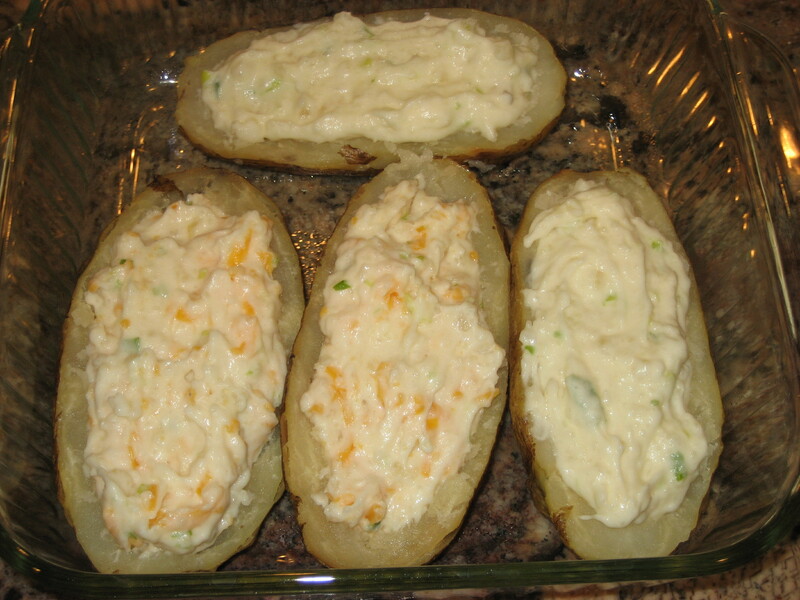 More planning ahead, more east dinners, more marinated meat, more twice baked potatoes! Bad Teacher; A Movie Going Experience……. As the More is More Mom®, I’m all about…..more movie theater outings! While some people may salivate over an extravagant dinner, or a luxurious visit to a day spa, one of my very favorite leisure time activities is heading to the Cineplex. It’s criminal; the last time I went to the show was over spring break to see Win, Win, which really was outstanding, but that was months ago. This week I finally got a double movie theater dose. My mom is a total gamer. She really wanted to share the Bridesmaids movie going experience with Amanda and me. I flinched for a moment, realizing that it’s rated “R”, but I rationalized; she’s in high school, has an older brother headed off to college, has seen Superbad and the Hang Over, is straight as an arrow and has cable. So, what’s a little potty talk? Sadly, however, there were no good coming attractions and the movie was a real stinker. We should have seen Mr. Popper’s Penguins instead (which was not rated “R”). 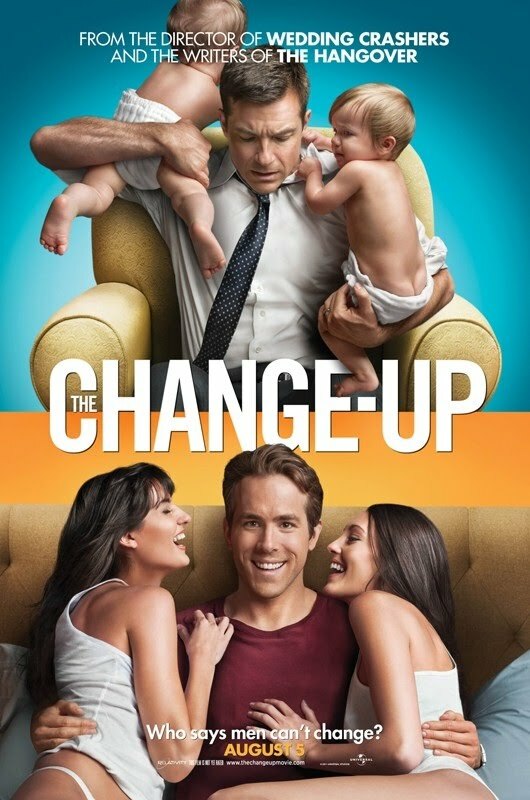 The Change Up: Starring my super cutie pie boyfriend, Ryan Reynolds, and the nearly as delightful, Jason Bateman, as best friends leading completely different life styles; Ryan is a free wheeling single, while Jason is a dedicated family man. It’s a Freaky-Friday meets fraternity brother’s tale of two friends who mysteriously switch bodies, learning life lessons during their quest to switch them back. I’ll see it at the show, because I’ll see almost anything starring Ryan Reynolds (though that one where he is buried alive in a box may have to wait for cable). Warrior: Although I am the mother of a life long hockey player, I’m not a big fan of violent sports. 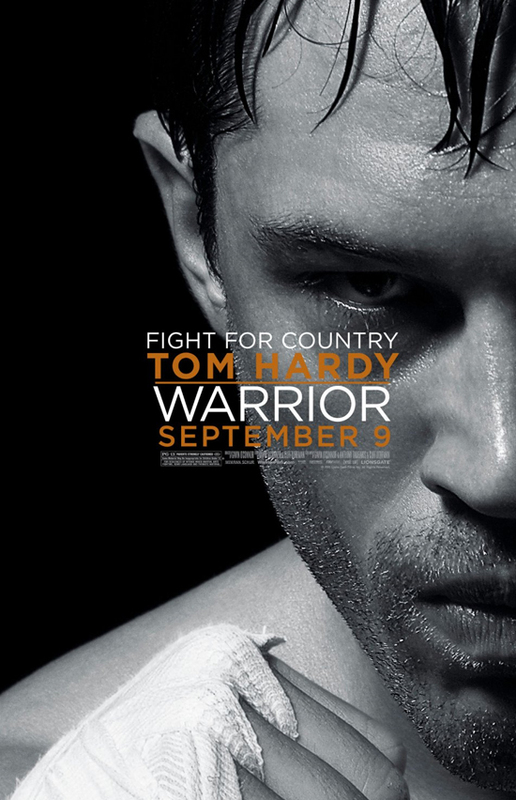 However, I must confess that Warrior looks pretty good, maybe this years; The Fighter. It’s the story of how two estranged Mixed Martial Arts fighting brothers end up in the ring participating in the fight of their lives. Hopefully it’s a major comeback for perennially favorite Nick Nolte (I’ve loved him since North Dallas Forty and 48 Hours). 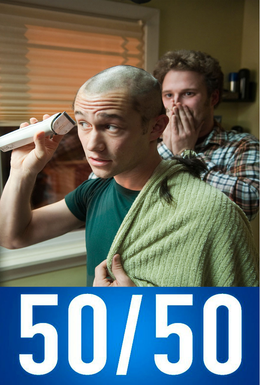 50/50: While the journey of a cancer survivor doesn’t sound too funny, it appears that 50/50 brings poignant humor to the story of a young man that is told he has a 50/50 chance of surviving his cancer diagnosis. I am most familiar with its star, Joseph-Gordon Levitt, from Angels in the Outfield (this is what happens when you have children) and Inception, and I always love the off beat humor of the ever likable Seth Rogan. I’ll definitely bring my hankie along with my stash of bottled water and Hershey’s chocolate bars to the Cineplex when 50/50 hits theaters in September. 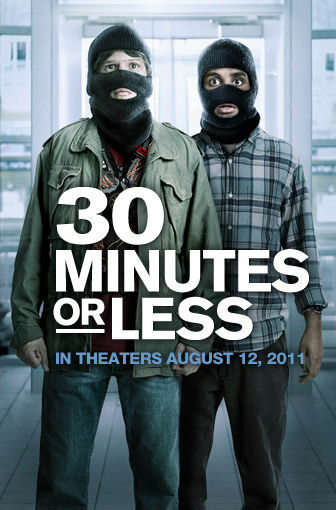 30 Minutes or Less: The Classic tale of two dim-witted criminals who kidnap a pizza delivery man, strap a bomb to his chest and demand that he rob a bank on their behalf. Danny McBride (who I totally don’t get, but my Nick thinks is hilarious) and Jesse Eisenberg (of Adventureland (also starring……Ryan Reynolds) and The Social Network fame) star. If I’m desperate for entertainment the day of its release on August 12, I’ll definitely see the early-bird show. With all of the great previews, we were totally psyched for Bad Teacher! 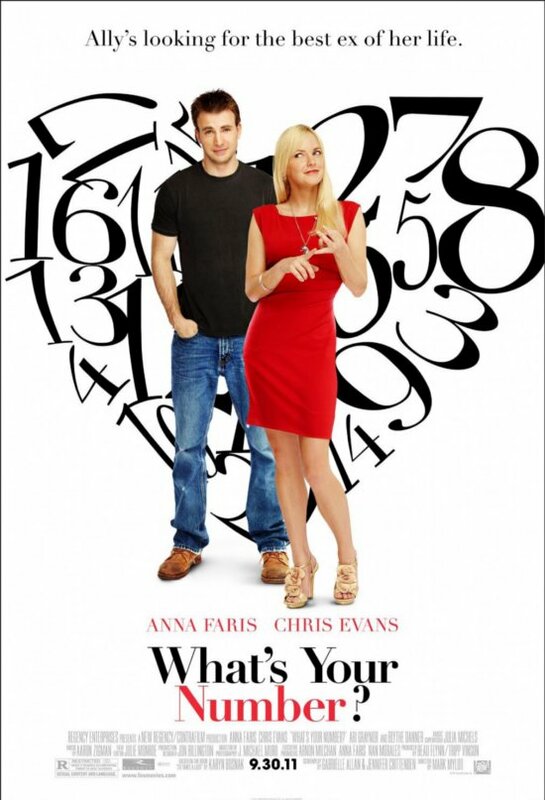 Cameron Diaz stars as Elizabeth Halsey, a foul-mouthed, gold digging, junior high school teacher who gets surreptitiously dumped by her sugar daddy. Forced to return to her teaching position, she believes that the only way to land her next sugar daddy is with a set of DD’s. Diaz spends the remainder of the movies plotting and scheming ways to raise the necessary funds for her plastic surgery and hitting on Justin Timberlake, a wholesome substitute teacher with a lot of dough. Cameron Diaz is such a naughty potty talker that she might very well be the perfect match for Billy Bob Thornton (I LOVE him) in Bad Santa. While she may have been completely unsympathetic, Diaz was obscenely funny. If you’re up for a couple of hours of raunchy silly humor, you’ll love Bad Teacher! 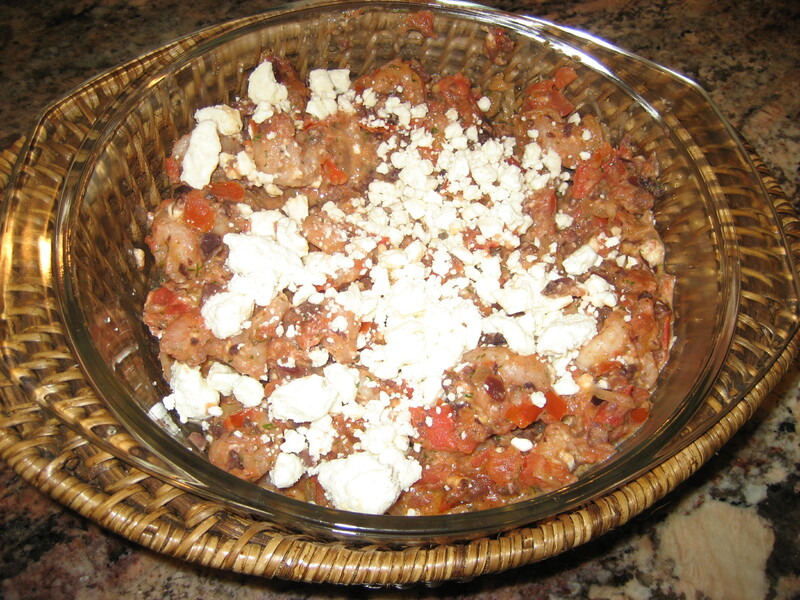 As the More is More Mom®, I’m all about……….more Mediterranean dishes! I’m sorry, but there is little tastier than fresh herbs and garlic (and creamy, melt-y cheese), though repeated flossing is very likely necessary. This is the perfect menu for an outdoor dinner with family and friends. And if you like lamb, you’re in for a real treat! 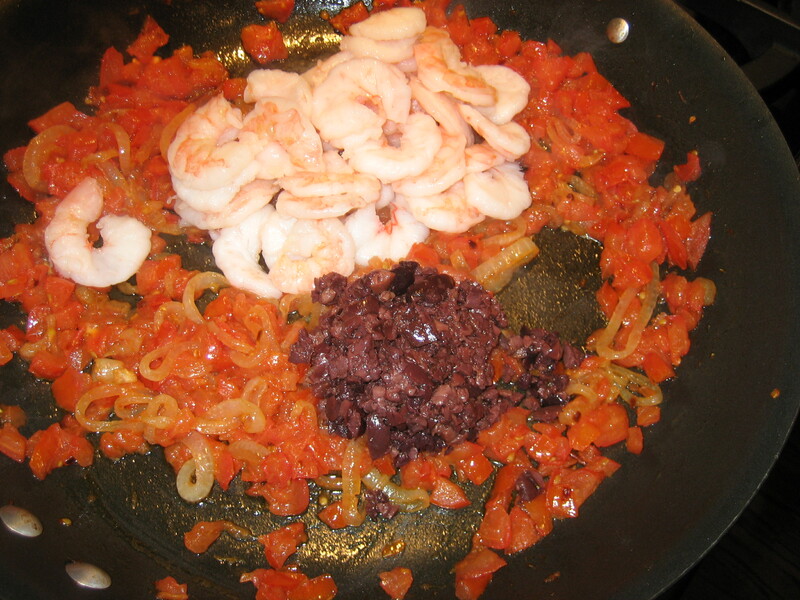 This is so delicious; you’ll pray for leftovers that you can toss over a plate of pasta! 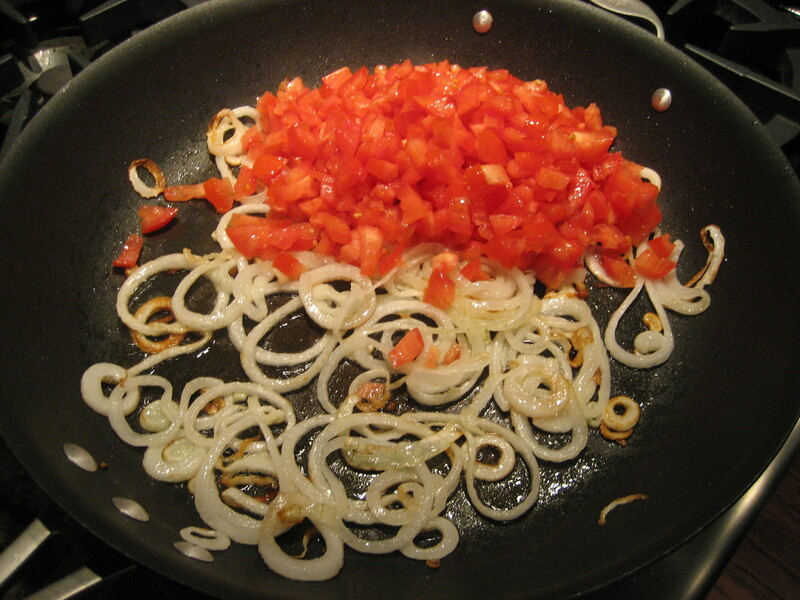 In a large skillet, heat the oil over a high heat until it shimmers. 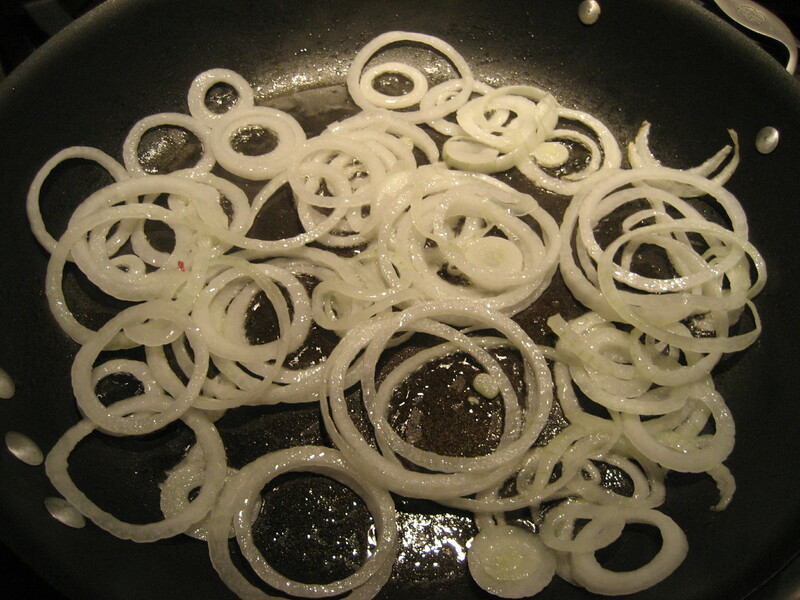 Add the onions, continuing to cook on high until the onion starts to get soft and a little bit brown, approximately 5 minutes. Of course, quantities depend upon how many people you’ll be serving, but this is a great salad for a small group or a crowd! 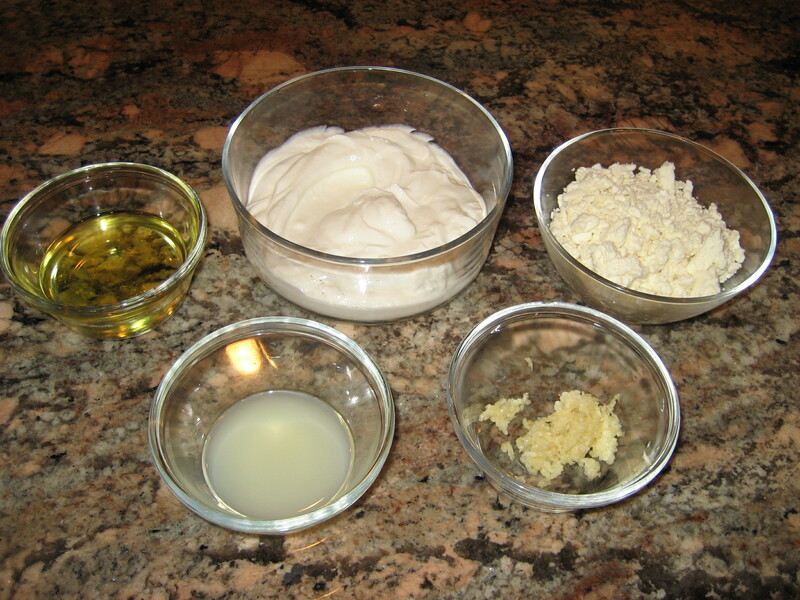 Mix all of the ingredients together in either a cruet or a bowl. 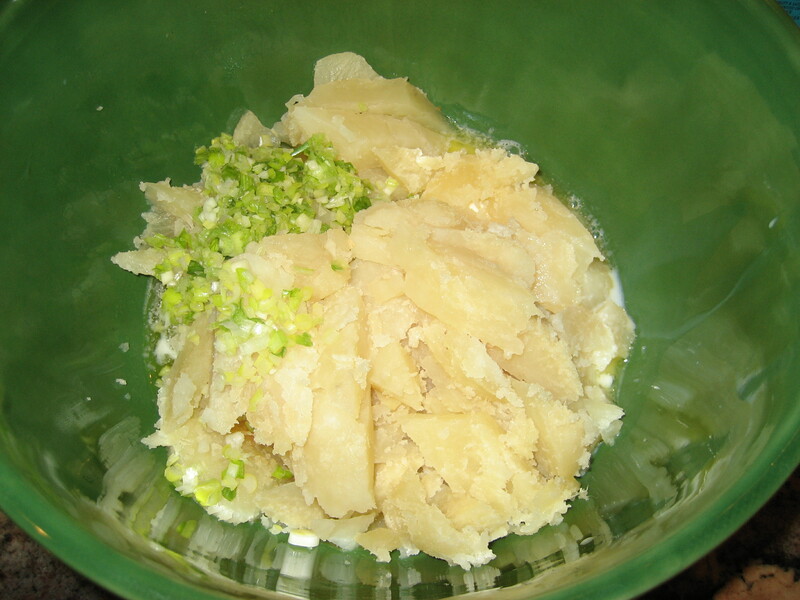 The dressing will stay fresh in your refrigerator for several days. 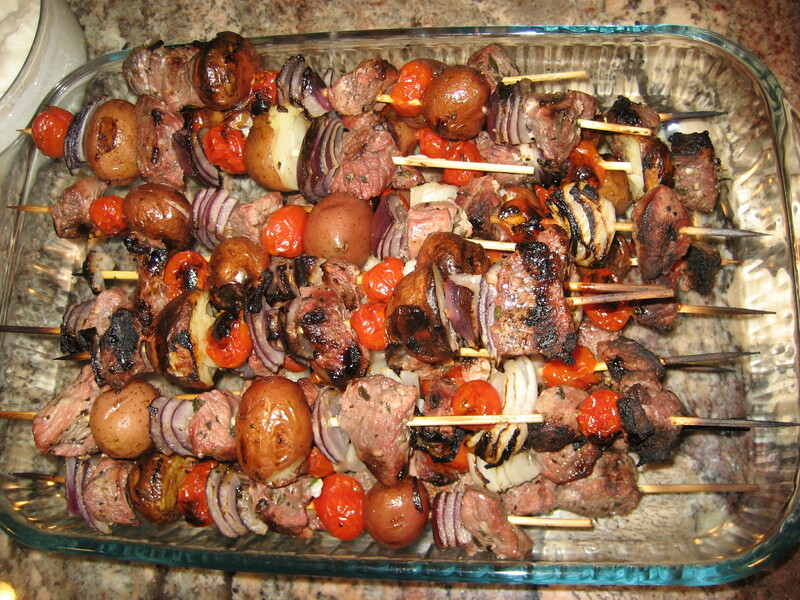 I always marinate the meat the night before, and then all that’s left to do the following day is to thread the kebabs and toss them on the grill. Between the two recipes, I had about 36 kebabs. They make awesome leftovers! 3 lbs New potatoes for each kebab recipe (I made 6 lbs for 2 recipes), boiled for 30 minutes or so, until they are extremely tender. Drain and cool on a tray or foil lined cookie sheet until cool enough to handle. 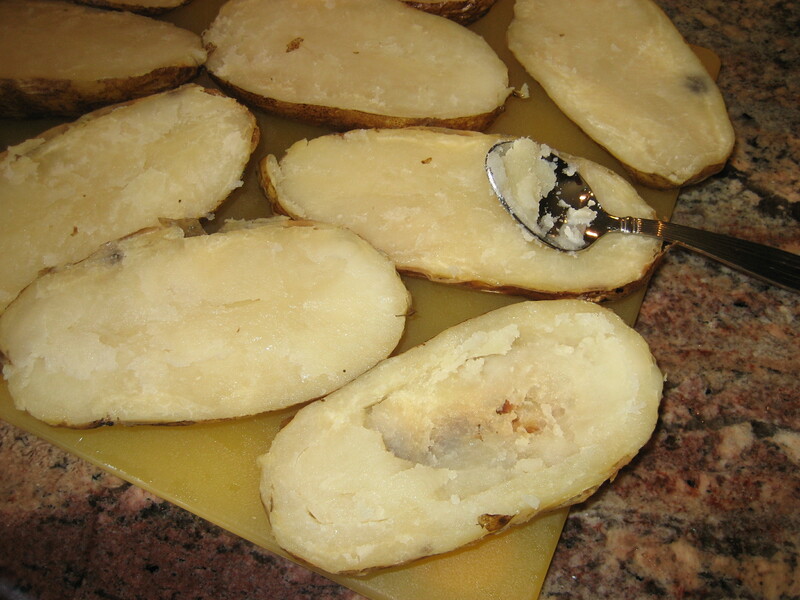 Once the potatoes are cooked, they are fine left at room temperature for quite a while. 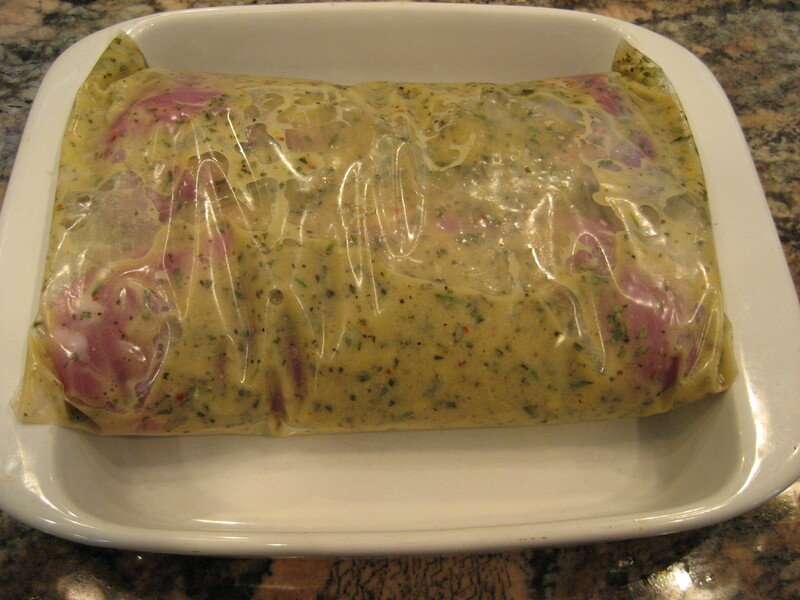 In a large re-sealable baggie, combine lamb and marinade, refrigerating overnight. Both Nick and Amanda like lamb, but he is a chicken fanatic and she likes steak and shrimp. 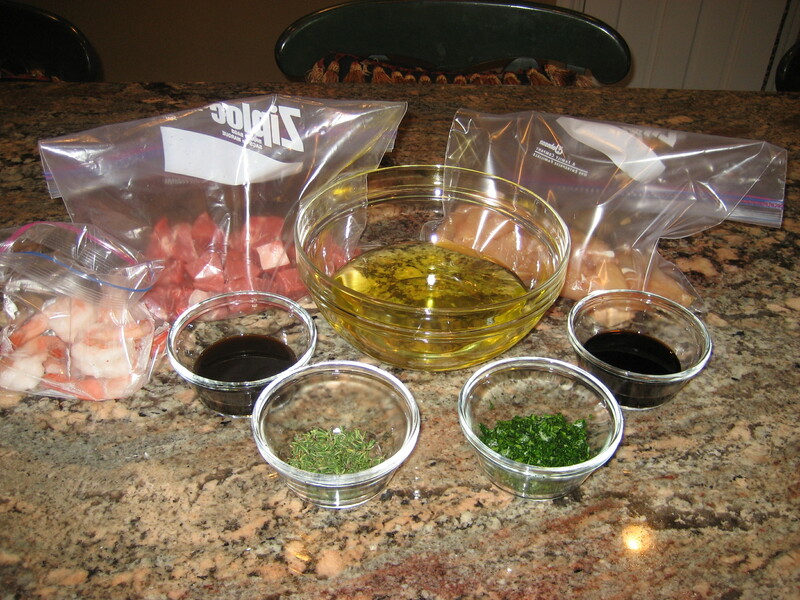 I made a huge helping on marinade and used a separate Zip-loc baggie for each the chicken, the steak and the shrimp. 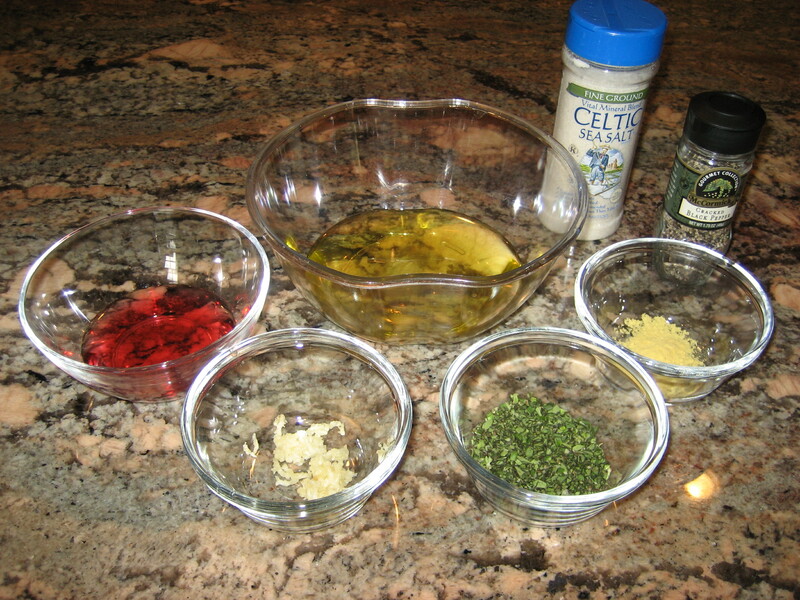 Divide the marinade amongst the various baggies and refrigerate overnight. Threading the kebabs is easy, but it takes a little time. I like to get that all ready before company arrives, by threading and storing in large Rubbermaid containers in my refrigerator. 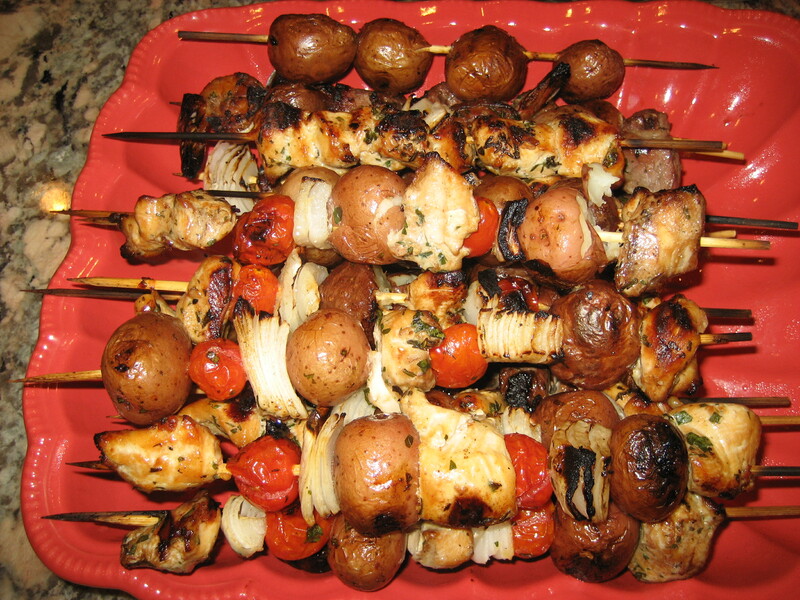 After your guests have nibbled on their Shrimp Saganaki, put out the salad, the kebabs and corn on the cob. Opa! 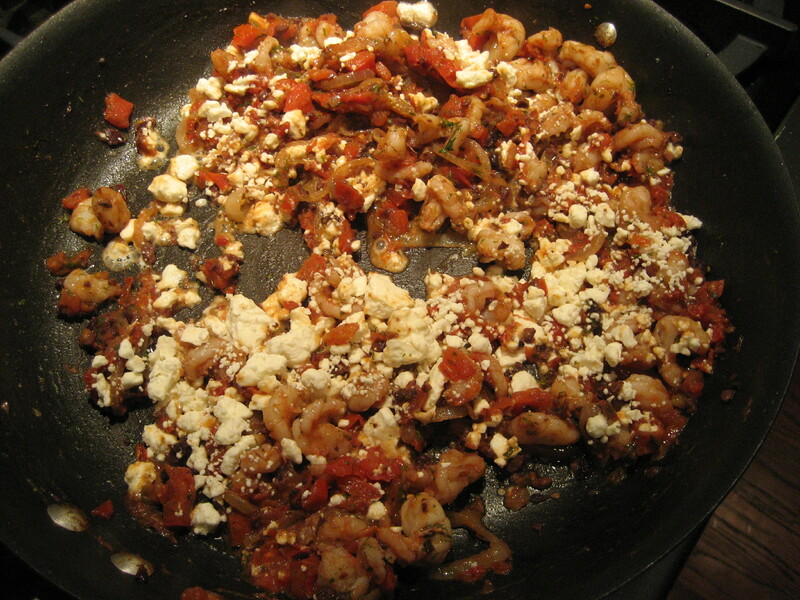 More shrimp, more feta, more Kalamata olive, more Mediterranean dining……. 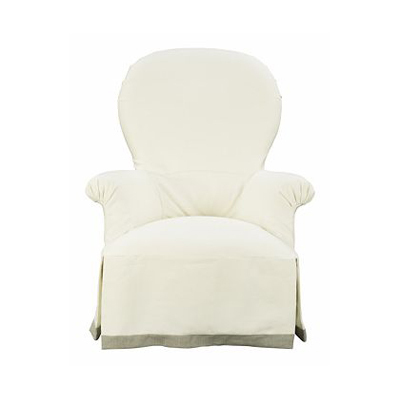 As the More is More Mom®, I’m all about…..more slipcovers! With so many fun and fabulous fabrics, why limit yourself to choosing just one? 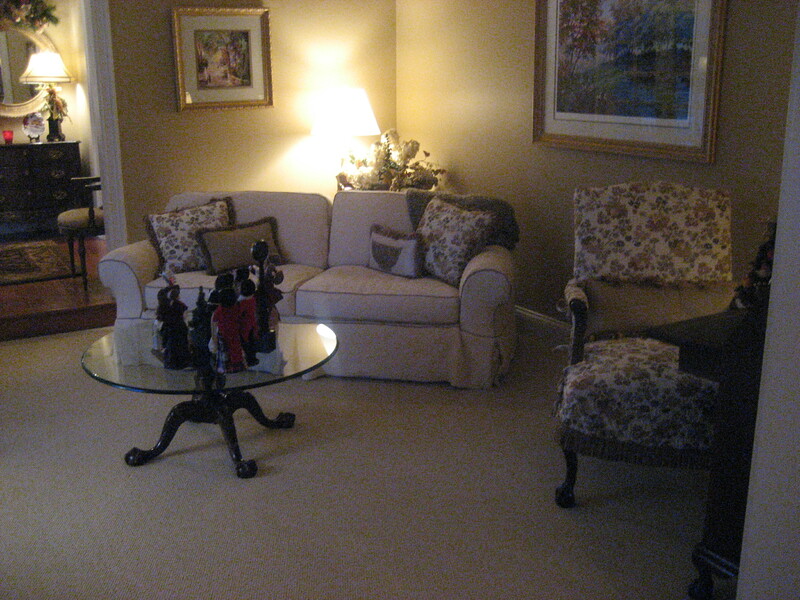 While working with my Interior Design clients, I’m frequently asked my opinion about recovering furniture. Of course, there are no hard and fast rules, just some conventional wisdom; if your piece is nothing special, then dollar per dollar, it may not be worth re-upholstering. However, if you have a beautiful piece, which is perfect in scale, proportion and style, or holds sentimental value, then it’s very likely worth the investment. 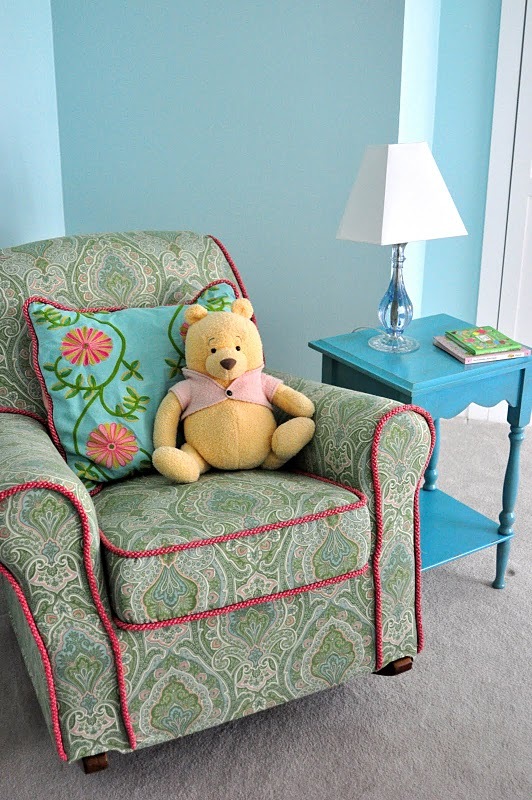 Giving your furniture a little “face-lift” is a great way to transform a room. 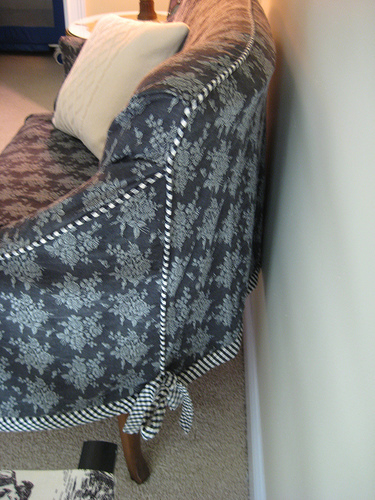 Slipcovers are another opportunity for creating drama and personality through detail and thoughtful design. Because more of everything is always better, make simple slipcovers sensational by using luxurious fabrics and fine finishing touches. To add some pizzazz to a clean lined skirt, apply grosgrain ribbon, or even a band of complimentary fabric, to the edge of a skirt. The accent color should absolutely tie in to another decorative element in the room, such as a colorful lampshade or a whimsical pillow. A luscious fabric deserves elegant trim. Bullion fringe would an amazing detail applied to the skirt, as would a brush fringe or coordinating cording applied at the seams. 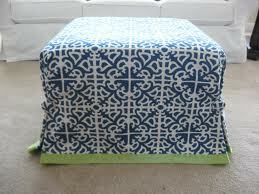 This sort of slipcover would be completely out of place in a modern, contemporary room, though it would be huge fun paired with something a little shabby chic or really rich and traditional. One of my all time, absolute favorites are dressmaker details; fussy pleats, shirred skirts and fancy buttons. They offer such a thoughtful, tailored and custom look which would be perfect in a Bedroom or Living Room, and certainly on Dining Room chairs. 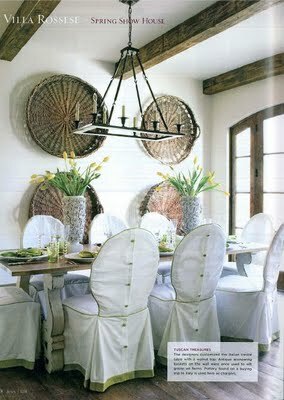 The most important thing to remember about Interior Design is that it should be fun! Your home should be a reflection of you, your taste and the way you live. 7 Inches From the Mid-day Sun….. Forever and ever, I have had mishaps with the sun. 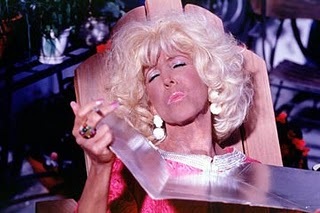 While I know it’s wrong, I’ve always longed for a beautiful, golden, bronze tan. Never mind the fact that I have fairly, fair skin that just screams “burn me”. Once, when I was in high school, I was at the YMCA and decided to use their tanning salon. It wasn’t actually a salon, or even a bed for that matter. It was a room, with ultra-violet light bulbs mounted to the wall. Posted outside the room, before you entered through a shower curtain, were directions that suggested a maximum of 15 minutes of exposure and a recommendation to wear those little goggles to protect your eyes. Well, I have always been a more is more type of gal, and with my highly developed teenage reasoning skills, figured that if 15 minutes were good, 30 minutes would certainly be even better. Of course, 30 minutes sitting on a chair with my eyes closed would have been super boring, so I opted instead to flip through the pages of a magazine (probably Glamour, completely missing the message that a great, big red sunburn does not equal “healthy glow”). All was good as I left the Y, dreaming about how awesome I’d be all tan. Unfortunately, reality hit me in the middle of the night as I awoke, screaming in pain, as I realized I had literally burnt my eyeballs. They were practically on fire. I was lucky I didn’t lose my sight along with my teenage vanity. Despite my aforementioned stupidity, I had yet to learn a lesson. Still in high school, my girlfriend and I would set up lawn chairs in my backyard with the sprinkler fanning back and forth between us. Because it was so beastly hot, we had this genius idea to run an extension cord out the window to hook up to an oscillating fan at the same time. With lemon juice in our hair (to enhance our natural, kissed by the sun highlights) and baby oil slathered all over our bodies (can you SPF?) it was a miracle we weren’t electrocuted. And, by the way, I’ll have you know that I’ve only fainted from sun exposure…twice. So here I am, as an adult, making the same mistake, time and time again. With our cooler in tow, we got our chairs set up, lounged around, enjoying the beautiful day. The temperature was absolutely perfect, pleasant with a lovely breeze, as we took in sporting events and I flipped through the pages of a magazine. When we got back to our room, I felt like I’d gotten a little sun. By the time we had dinner, I was positively glowing! It just wouldn’t be summer without inconvenient and oddly placed, sunburn. More summer, more sun, more hoping for a tan, more disappointing sunburn…..